We just can't live without Facebook. However it is quite a pain to manage all information present on a Facebook account efficiently. Below is a small list of free websites and tools that will truly enhance your Facebook experience. 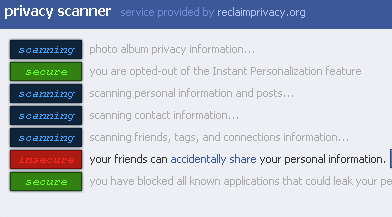 Better Facebook is an addon for your web browser that reduces unnecessary clutter on your Facebook account. However it still does not support Internet Explorer. This site helps you to find out how safe is your Facebook account. How to find if someone removed you as a friend in Facebook? Appear Offline helps a user you to see who's signed on to Facebook Chat without having Facebook chat activated. Hootsuite is a free service. It allows users to publish on multiple networks like Facebook, Twitter, Linkedin and Ping.fm.